The games have altered graphics but the gameplay is largely faithful to the originals. The games does not support the Link Cable, but does allow two players to play competitively by taking turns using the same Game Boy. 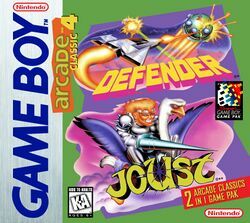 When played on a Super Game Boy the games have borders designed to look like the original arcade cabinets. This page was last edited on 21 March 2013, at 07:24.